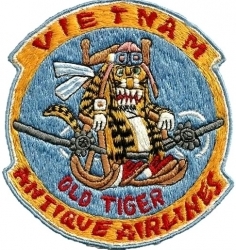 Until August, 1971, the EC-47 fleet in Southeast Asia was operated by three Tactical Electronic Warfare Squadrons (TEWS), all subordinate to the 460th Tactical Reconnaissance Wing (TRW) headquartered at Saigon’s Tan Son Nhut airbase. 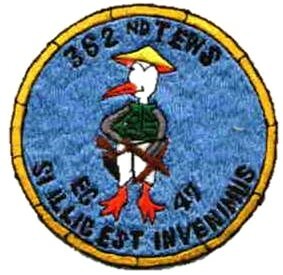 Aircraft based at Nakhon Phanom, Thailand, were operated by a detachment of the 360th TEWS. Squadron histories were compiled “on the spot” by a designated historian and submitted quarterly to the parent wing. The declassified 460th TRW histories are held by the U.S. Air Force Historical Research Agency (AFHRA) at Maxwell AFB, Alabama. In addition to narrative descriptions, these documents contain mission statistics and occasional “sanitized” feedback from the 6994th Security Squadron concerning ARDF results. Unfortunately, most of the 6994th history remains classified. Thus the quarterly TEWS histories, brief as they sometimes are, represent the best available contemporary record of day-to-day EC-47 operations and achievements. The pdf files are scans of paper copies. The earliest histories were photocopied at AFHRA, page by laborious page, nearly 20 years ago. Due to time constraints, some pages unrelated to operations were not copied. At some point, we hope to retrieve these histories in their entirety. Click on the links below to open individual histories in pdf format.